The latest IT technologies offer innovative solutions to many healthcare problems. Despite the fact that medicine is one of the most important industries – the life of people depends on it – the implementation of new technological solutions is unpardonably slow. Experts claim that 2019 will be the year when IT solutions in healthcare will be actively implemented at all levels: from medical companies to provincial hospitals. What Does Innovation Mean in Healthcare? Innovation in the healthcare industry is something specialists were talking about for the last few years. Some of them even try to adopt technological solutions in separated areas or hospitals. However, the whole industry needs to be transformed in order to become more efficient and reliable, convenient and closer to the patient, easier and simpler to oldies and more available for those who can’t reach a doctor due to a different reason. Fortunately, healthcare information technology solutions are already implemented in lots of spheres. Nevertheless electronic medical records or online registration services are just a beginning, only a first step on the road of changes. Medicine requires not only innovative but reliable and effective solutions and healthtech can provide with them in short terms. Mobile applications can help automate some of the more time-consuming tasks of practice by optimizing how doctors store, share and interpret data related to a patient’s care. Use of mobile apps in healthcare can reduce the time they spend on monitoring patients and communicating with them. Hospital applications software is an easy way for physicians and other care providers to access resources and work with databases that store vast amounts of relevant medical information. They also provide an innovative solution to facilitate remote monitoring of a patient’s condition, streamline communication between the provider and patient, and increase accessibility to effective care in rural areas. 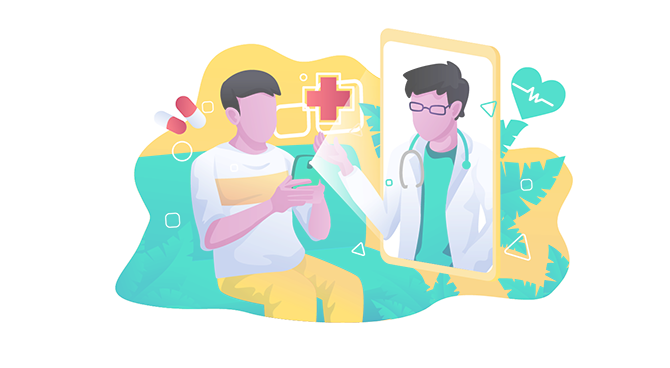 Medical mobile apps that focus on the consumer side are often more focused on the user’s daily life, helping them maintain a particular course of treatment or a healthy lifestyle. These types of apps often perform various calculations, provide checklists for proper care, or send out scheduled reminders to maintain a healthy way of living. Nearly 7% of customers confirmed that they’ve changed healthcare providers due to an unsatisfactory level of customer service. At one hand, the lack of mobile integration can result in losing $100 million annually per hospital. On the other, the development of custom-made medical apps can bring twice as much revenue. Telehealth technology is empowering patients in even the most remote locations of the world to access quality healthcare and receive life-saving diagnoses. So, what are telehealth and telemedicine? In a sense, telemedicine levels the playing field—geographically and financially—allowing anyone to access the best healthcare at any time. Similarly, it saves doctors the time and cost of traveling to see the patients in their own remote locations. It’s a win-win on either side. Virtual healthcare has already taken root in urgent care settings like family and emergency medicine. Virtual healthcare solutions give more opportunities to both: patients and doctors. A virtual visit can be a videoconference between a doctor and a patient at home. It could mean that a patient can interact with an off-site medical specialist via a high-definition conference hookup at his or her local clinic, instead of traveling to another city. It can also give patients the chance to more readily find qualified second opinions online. Another option for healthcare is virtual reality. Virtual and augmented reality proposes significant advances to healthcare technologies from diagnosis to medical education and is already used in treatment for a wide range of illnesses. While with virtual reality, the person emerges in totally artificially created surroundings, augmented reality generates images that can be layered on the top of real-world objects. In both cases, the user can see the created imagery or text with the help of VR/AR glasses, while their hands stay free. In the near future, customers expect their healthcare providers and insurers to start interacting closely with digital tools. Businesses from all other spheres have become available at one screen tap, so why can’t they receive the same kind of service from medical institutions? Major issues faced by US healthcare organizations are hidden in the fear. Hospitals fear to empower their patients with an ability to manage their health treatment process on their own. Instead, executives find it better to stick with offline records while losing patients to other modern clinics. The improvement of patient’s experience helps retain customer loyalty, raise engagement and boost annual profits. 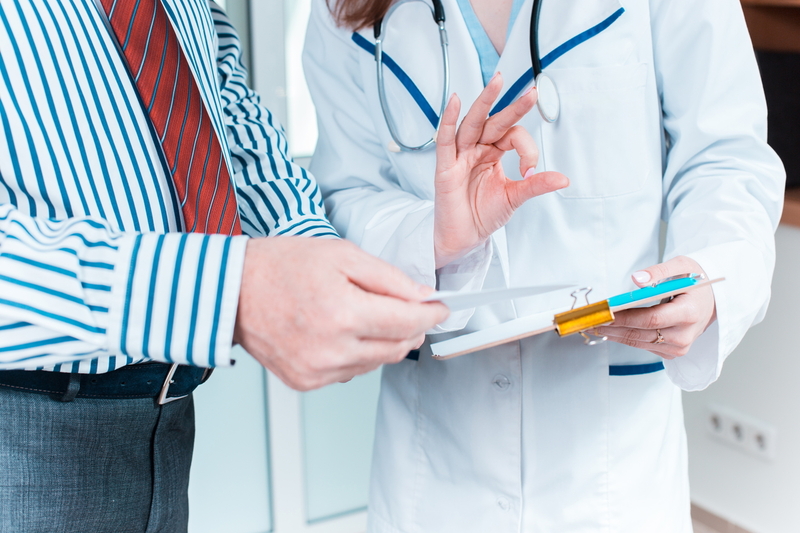 It is important to apply healthcare administration software solutions on time. The use of already known IT technologies and the development of new solutions based on them will bring much bigger benefit than the use of proven, but outdated, methods. The time has come to realize the importance of transformation and change. Insurance and payment issues are among challenges facing healthcare industry as well. Clinical innovations, patient preferences, and government program payment policies are prompting hospitals to shift certain services to alternative points of care and even to virtual environments that benefit from a cost and access perspective. Patients need convenient payment methods. They also want reassurance that it is possible to set up a payment plan. 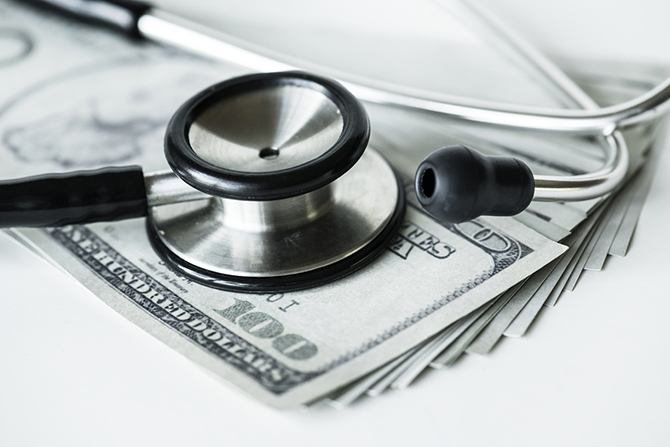 For providers that refuse to improve their healthcare billing solutions, disaster could be on the horizon. Sixty-five percent of consumers are happy to switch providers to obtain a better patient payment experience. This is why payment systems in healthcare should be improved and transformed. Healthcare billing solutions are inevitably heading toward complete automation in 2019. The advantages are clear. Saving time through the elimination of manual processes allows staff greater freedom to interact with their patients. This, in turn, leads to better provider/patient relationships and improves loyalty. Better loyalty promotes faster payments, and, so, the cycle continues. Another important healthcare solution refers to health insurance. Presently, a handful of health insurance companies are working on projects incorporating blockchain technology to accelerate their growth and market share. Since it’s a relatively new development, smart insurers are paying extra attention to the long-term benefits — while remaining focused on maintaining short-term vigilance. The goal of blockchain is to implement a user-oriented, user-friendly, and voluntary method for maintaining any health information. Insurers work with digital transformation platforms to design and develop blockchain technologies to target specific needs instead of using a one-size-fits-all approach. Smart contracts distributed through blockchain can also be applied for healthcare insurance needs. Challenges facing healthcare industry today can be solved with innovative digital solutions which will shape the development of healthcare and medical industry in 2019 and beyond. The latest IT solutions in healthcare offered by different companies can be applied in a short time. This will give the opportunity to beat competitors, move upward in the market of medical services and lead the company to success in the next few years.